This blog post has been such a long time coming, I've been absolutely giddy with the excitement of finally writing it. 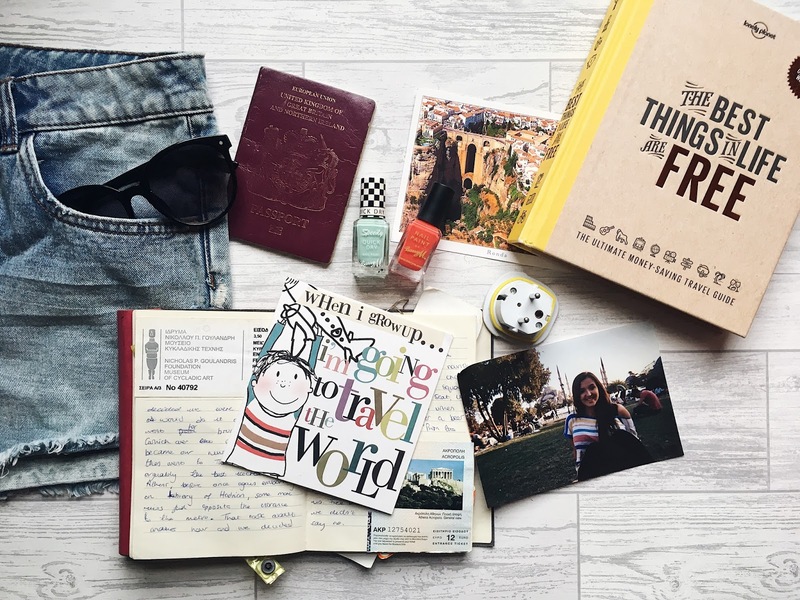 Let's cast our minds back to what happens to be my most popular blog post ever, Why I've Quit My London Job To Move Home. I was completely honest about what was going on in my head for the first time ever, and moving back home is still to me, one of the bravest decisions I've ever made. Weirdly, I feel like that was a bigger step than what's to come, because I literally threw myself backwards. Of course, it depends on how you look at things, and travel and happiness and self-growth to me, is far more important than materialistic steps. But I could've stayed in London, worked my way up in the Public Relations Agency I was working for, invested in a flat, met a boyfriend and truly lived the London dream until I'm 30 and thinking about marriage and babies. That could so easily have been my life and when I'm sat here now, in my childhood bedroom, it sort of blows my mind how close I was. And then I breathe a bloody big sigh of relief. Because I am not that person. Not right now, anyway. And I quit my job and moved home because I wanted to travel, and save money, and when you're spending £890 a month on travel and commuting, you do not have a spare penny to save. So, I moved home to Dorset, and I realised fairly quickly that whilst moving home was a resort I was willing to take if I wanted to save up to go travelling, if there was another way to do it which would allow me to both travel and save, I would throw myself straight in. And at the beginning of October, I secured myself a job in Sydney, Australia which starts in January. Your girl is moving to the other side of the world! If you followed me during my gap year (kudos if you did, that was a bloody long time ago), you'll know that I was an au pair. An au pair is essentially a nanny, and you live in with the family and help with the kids. Which means you don't pay rent or think too much about your meals. Aka, you don't have many out goings, and you're being paid. Au pairing is the perfect way for me to save money, and gives me the chance to save whilst being on my own adventure. On top of all this, I'll be blogging and vlogging and doing social media bits, which will also help a bit here and there with my finances and give me a bit more towards my travel fund. I'll be in Sydney for at least 6 months before taking up another job somewhere in Australia, and am giving myself December - March to travel around Australia/NZ and some of Indonesia before I finally come back to the UK for about 3 weeks in March... before going off onto my next adventure. At 22 I've been lucky enough to live in the UK, Italy and France, so it's probably time to cross a few countries further afield off of my list. 2018 is shaping up to be fantastic, and I am SO excited to see what the next couple of years has in store, the people I'll be meeting and the things I will see. My content might be a bit more geared towards travel for obvious reasons, but I'm sure I'll still be writing some deep life perspective posts too. As always, thank you for your eternal support, it means the WORLD. Ah it definitely sounds like we have a lot in common! I really want to spend some time in Melbourne so I'll definitely let you know! Best of luck with it all, and let me know if you need any Sydney tips! Everyone has told me it's going to be the best decision I've ever made, so I'm really excited to see where it takes me! Amazing read, thrilling, I wish you the best of luck. More stories and tips you can find here.